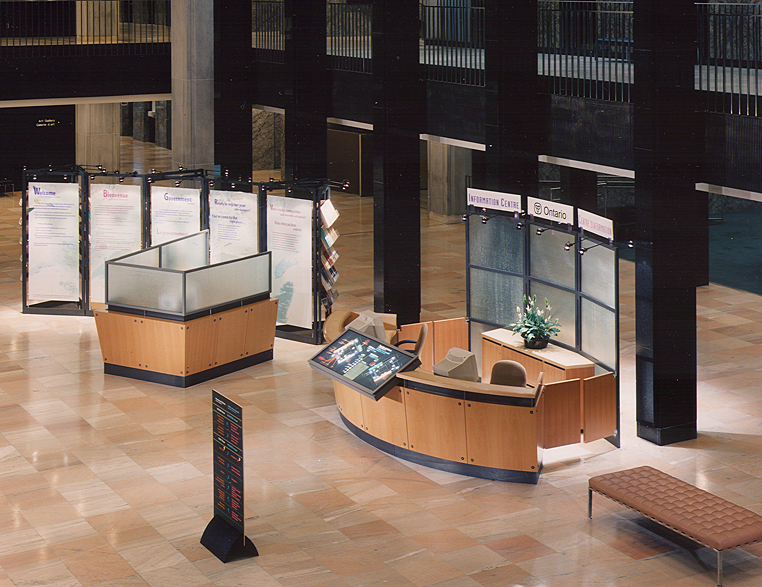 Used by over 10,000 people each month, this main entry reception of Ontario's largest and most visible Bay Street complex was the perfect location for a pilot project information kiosk for government services; a kiosk that would provide an inviting and modern gateway for the public. 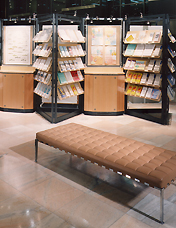 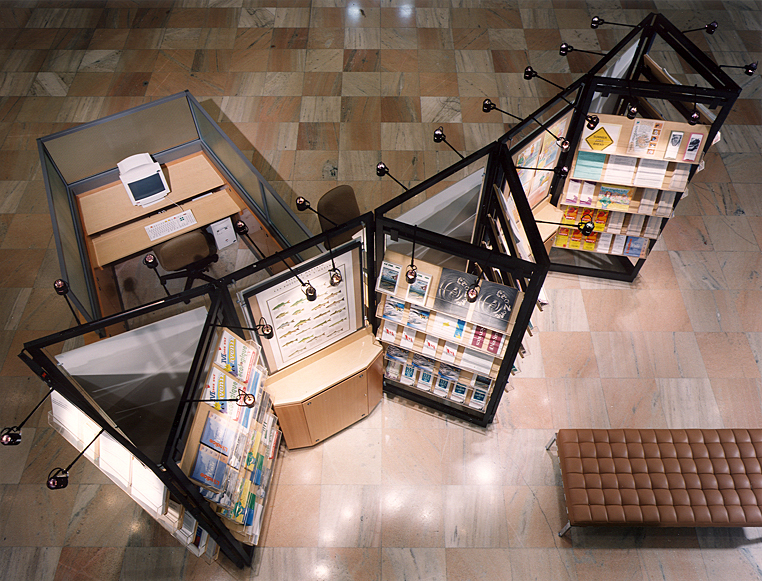 Within the austere 1960's double-volume lobby, FIORINO DESIGN created an approachable, user-friendly environment consisting of a series of modules, which could be easily rolled out in various configurations to smaller sites across the province. 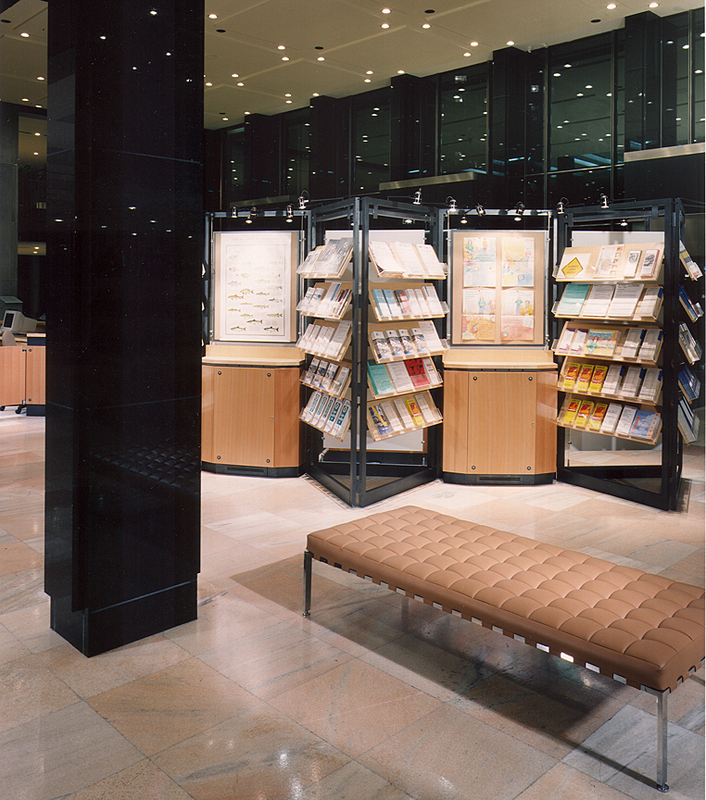 Addressed within the kiosk design, are a variety of means of providing information and government services, including knowledgeable counter staff, computer stations and printed materials. Graphic panels explain how to use the government internet, and a freestanding sign post directs visitors to government departments within the complex.